How do you say „rising sun“ in Japanese? „Asahi“, which is also the name of the ball-bearing producer ASAHI SEIKO Co., Ltd., a company which in the mid-20th century Japan was the first to start producing ball bearing units, i.e. bearing inserts in housings of a specific shape. And as the rising sun shows the way, ASAHI has been showing the way to other producers to this day. The way of precision, perfection and top quality. In 1928, under the original name of SKI Bearing Manufacturing, its founder, Mr Shibata, started production of ball bearings in the town of Sakai in Osaka Prefecture. Ten years later the company had the rising sun in its name and with its imaginary light began to slowly flood not only its native Japan. The site of the ASAHI SEIKO factory in Sakai. By the end of the Second World War there were only ruins after bombardment. By then, however, clouds of the Second World War were gathering over the world, which left its cruel mark also on ASAHI. In 1944, the factory started to serve with Japan military by the order of Ministry of Munitions, and was severely damaged because of the air raid which had been intensifying late the year. 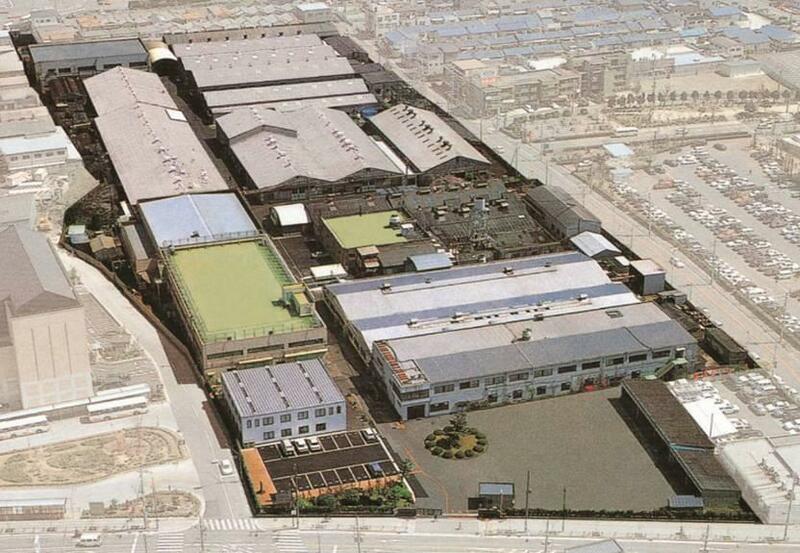 The company, however, rose from the debris and ashes and the turning point for the history of ASAHI was the year 1951 when, besides classic bearings, production planning began to focus more on complete bearing units. It soon became evident that it was a great move. Ball bearing units, the principal part of the ASAHI SEIKO's production. In 1951, ASAHI developed their own bearing units and became the first producers among well-known Japanese producers as of today. The company's engineers gradually perfected the original bearing unit in all its parameters and added some of their own patents. ASAHI brand ball bearing units are characterized by their unique features; the combination of locking-pin and loose fit between the bearing outer ring and housing bore. This combination not only allows the bearing to self-align properly but also prevent outer ring rotation. Also, ASAHI developed Silver Series in 1979 based on the concept of compact and smaller bearing units. Since then this series has built solid reputation among customers all over the world, and now cannot be second to none in the market. Top-class bearings are produced by state-of-the-art machines. Thanks to its precise processing and high-quality manufacturing the ball bearing units from Osaka soon became famous not only in its native Japan. Today, ASAHI is one of the world's foremost producers of bearings and other products as well. Since the late 1970s its factories manufacture also mechanical and air clutches as well as brakes and linear motion products. The proverbial Japanese obligingness is also reflected in the philosophy of the company named after the rising sun. „Always respect the needs of your customers and go to meet them“, which is a motto ASAHI has stuck to for almost one hundred years now. Entry into the ASAHI SEIKO's main office. We are an authorized distributor of Asahi brand products.